It’s not unusual for major motion picture studios to come out with companion apps to go along with the release of their new movies. Warner Bros. is one of those studios, whose continuous investment in mobile marketing keeps this trend going. And it’s showing no signs of ever stopping, what with the launch of the latest mobile marketing tool to come out of its fold. The new app is called Dark Shadows: Photo Filter App, a photo filter app (obviously) based on the movie “Dark Shadows” (obviously). “Dark Shadows” is the latest joint project of frequent collaborators Tim Burton and Johnny Depp, the director-actor pair most famous for “Edward Scissorhands.” Based on the classic American soap opera of the same name, “Dark Shadows” tells the fish-out-of-water story of Barnabas Collins, a 200-year old vampire. As you might expect from a vampire movie directed by Burton and starring Depp, there’s a lot of dark humor and none of that sparkly nonsense. The movie also bears a distinct look, and it’s this look that Dark Shadows: Photo Filter App seeks to, er, filter. Dark Shadows: Photo Filter App is Instagram meets the new Johnny Depp movie. Dark Shadows: Photo Filter App is an Instagram-style app that lets you edit your photos to make them look like they’re lifted straight from the movie. After loading an existing photo from your photo library or taking a new one, you can select from any of the available filters. Each filter is represented by a main character from “Dark Shadows” overlaid with a particular hue associated with that character. You can also select a special gothic frame for your photo before sharing it via Facebook, Twitter, or email. 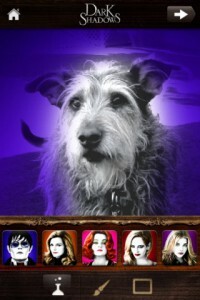 Designed for iPhone and iPod touch, Dark Shadows: Photo Filter App is now available in the App Store. 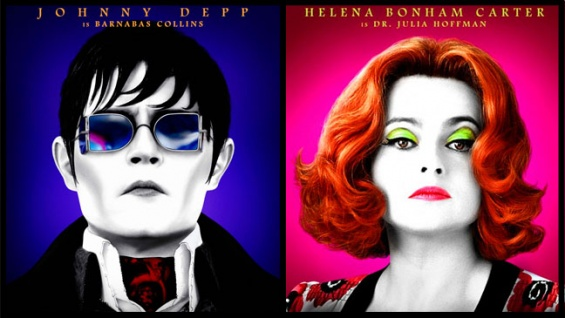 “Dark Shadows,” on the other hand, is now available at a theater near you.